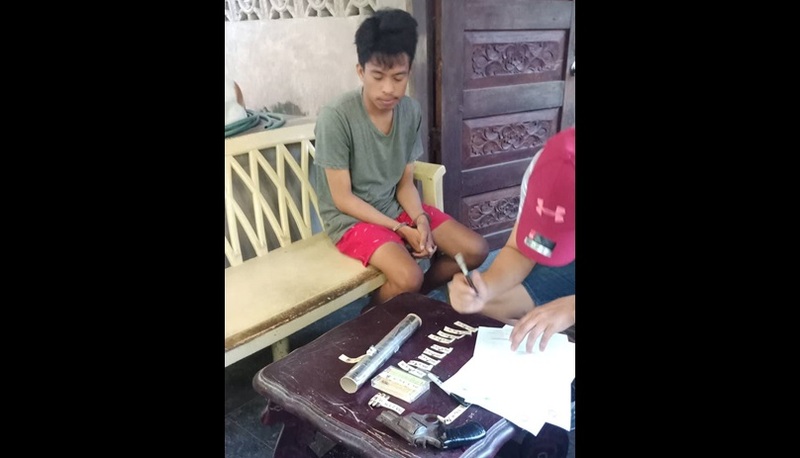 A 21-year-old man was arrested by police for drug and gun charges following a raid at his home in Baclayon on Sunday. Police identified the suspect as Daniel Andoy, a resident of Barangay Montana in Baclayon. According to police, operatives raided the home of Andoy through a search warrant issued by Judge Rufo Naragas, presiding judge of the Regional Trial Court Branch 50. Police officers allegedly found in Andoy’s home an unlicensed .38 caliber revolver loaded with three live rounds and eight sachets of suspected shabu. The white crystalline substance seized from Andoy has been sent to the police crime lab for analysis to determine if it is shabu. Police said that violations against the Commission on Elections gun ban and Republic Act 10591 or the Comprehensive Firearms and Ammunition Regulation Ac are set to be filed against Andoy. An illegal drug possession charge may also be lodged against him.